The Blogger Prom Committee is pleased to announce that 100% of the proceeds from this year’s event will benefit the Center for Community and Family Services in support of Operation Frontline Los Angeles, the regional OFL program at Share Our Strength "that teaches families how to prepare healthy, tasty meals on a limited budget" with the belief "that negative health and economic effects of hunger and poor diet can be avoided if families know how to shop for and prepare healthy, low cost meals." When we decided to raise charitable funds at this year's prom, the big question was, on behalf of what organization? We decided upon Operation Frontline Los Angeles because we believe so unwaveringly in its mission to help fight hunger and improve nutrition education. While not all of the bloggers invited to Blogger Prom write about food, hunger and poor nutrition are issues that affect the L.A. community and the nation as a whole. 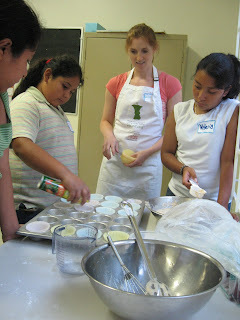 It is through these classes and education that families can learn first-hand how to apply nutrition principles in their shopping for and preparation of healthy, low cost and delicious meals. We look forward to helping Operation Frontline Los Angeles continue to directly impact the lifetime dietary habits of families through their classes held throughout the city. 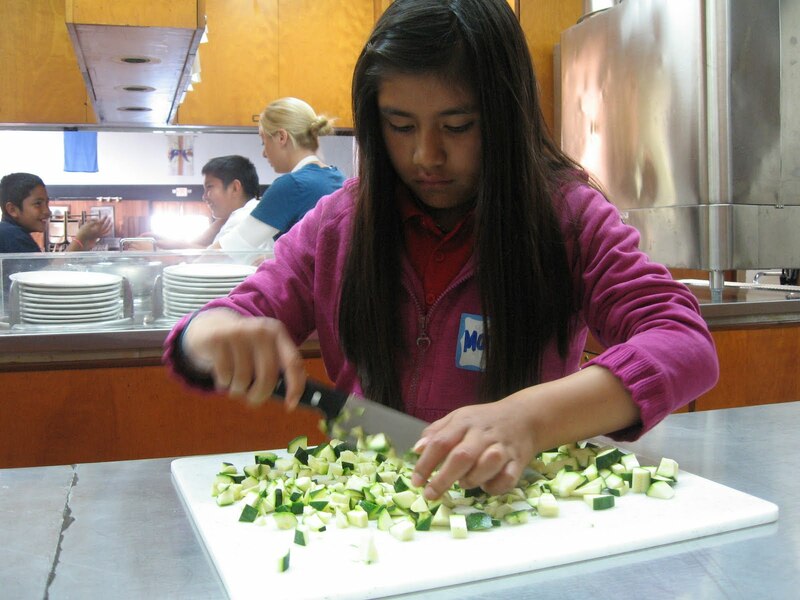 Together, we can help more Angelenos to enjoy nutritious, tasty and affordable food options. Upon graduating an Operation Frontline LA course, 80% of adults said they were eating more fruits, vegetables and whole grains than before the course. Your admission and any additional donations made on behalf of Blogger Prom: Hollywood Confidential will go directly toward connecting professional chefs and nutritionists with those who benefit from the education the most. Proceeds will alleviate class support costs like groceries, staff coordination time, staff volunteer training and more. Be sure to visit Operation Frontline Los Angeles' Blog, Operation Frontline’s home page, “like” them on Facebook and follow them on Twitter to keep up-to-date on what they’re doing in the community. For those attending the prom, please consider donating more than the $10 minimum per person. Also, please spread the word about donating by mentioning something on your blog in your preview and/or recap posts. It's going to be an amazing night of great food, specialty drinks, one of the city's most gorgeous views, prizes and surprises, and the chance to meet and mingle with some of Los Angeles' top bloggers. But it's an invite-only event. So how do you make sure you're invited? To be a part of the "Class of 2010" and score an invite to the Hollywood Confidential Blogger Prom on September 22nd at Yamashiro, your Blogger Prom Committee (BPC) has a list of criteria. 1. You went to Blogger Prom 2009...and wrote about it on your site. 2. You are an established Los Angeles blogger* who has been posting regularly on a site since January 2010. *With rare exception, this means no microblogs, or Twitter-only folks. We want to read your words and see your pictures...and we reserve the right to make the final call on this. 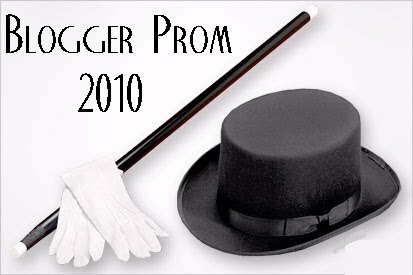 Speaking of final call...ultimately, invitations to Blogger Prom 2010 are issued at the discretion of the BPC. You may bring one guest, though you are not required to. You may be asked to provide your guest's name, and, if applicable, their blogging and Twittering deets. We will roll out the invitations in waves; be sure to take note of any cut-off dates indicated on the invite. 1. RSVP to official invite. This gets you on our OFFICIAL guest list. 2. Make a donation to Operation Frontline via a private link sent to you. Admission to Blogger Prom 2010 is via minimum donation of $10 per person. 100% of donated funds will go to Operation Frontline. We want getting our invited guests to the Prom to be as easy as possible--if you're having trouble with your invitation, let us know. PLUS: We can't make you sign up for Twitter (and, what? You haven't yet? Come on!) but a Twitter account will be required for participating in our raffle to win some amazing prizes. Follow us on Twitter: BloggerProm.